The theme of the sessionis The Arctic: An Ocean of Opportunity . President of the Republic of Finland Sauli Niinistö, President of the Republic of Iceland Guðni Thorlacius Jóhannesson, Prime Minister of the Kingdom of Norway Erna Solberg and Prime Minister of the Kingdom of Sweden Stefan Löfven are taking part in the discussion. Joining the ranks of other Heads of State, Stefan Löfven, the Prime Minister of Sweden, has participated in a debate discussing the Future of Europe. Other members of the European Commission and the European Parliament (MEPs) were also present during the debate held in the EP Plenary. 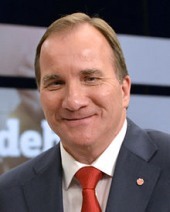 Stefan Löfven, Prime Minister of Sweden – Mr President, Vice-President of the Commission, distinguished leaders of the political groups, Members of the Parliament, my fellow Europeans, firstly, let me express my appreciation for all the efforts and the work during this electoral period and the progress that you have achieved for Europe and us all. Stefan Löfven, Prime Minister of Sweden - Mr President, Vice-President of the Commission, distinguished leaders of the political groups, Members of the Parliament, my fellow Europeans, firstly, let me express my appreciation for all the efforts and the work during this electoral period and the progress that you have achieved for Europe and us all. Following the debate on the future of Europe with the Prime Minister of Sweden Stefan Löfven, S&D Group leader Udo Bullmann said: “It was a special. The European Parliament today approved an agreement that will significantly strengthen the European Border and Coast Guard Agency. https://t.co/L9v47oViV7 @TobbeHolms Stefan Löfven håller på Tottenham. Dags att byta lag?